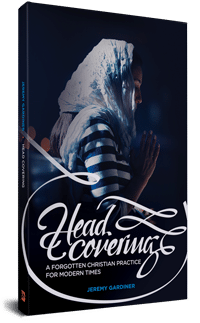 The Head Covering Movement publishes testimonies within its purposes + goals and in accordance with its doctrinal statement. You may share your head covering testimony via our Share Your Story page. Our Testimony Coordinator will read your testimony, and if she decides to publish it at HCM, she will write back to ask additional follow-up questions. By sharing your head covering testimony with HCM, you agree to allow HCM to edit the transcription and publish it on their website + social media outlets. Please see the “Legal Matters” section (below) for further details. HCM’s main intent here is to provide clarity & consistency in the testimony publication process, and to ensure the quality, integrity, and trustworthiness of the material published by HCM. After your work with the Testimony Coordinator, the Editorial Team will review the testimony transcription. They may edit it (including for clarity, length, and proper English form) if deemed necessary. Prior to publication, the Testimony Coordinator will send you a copy of the testimony as it will appear on the HCM website. While this is not the time for discussing substantial revisions, requests for minor changes will be considered and may be approved. After publication, any further edits will be limited to correcting any factual or editorial mistakes. By submitting your content to us for potential publishing, you agree that you are providing the content without any expectation of compensation. You also grant us the exclusive right to publish your content for one week following its initial publication. After that first week, you are permitted to re-publish the first 25% of the content elsewhere (if desired), with an accompanying note stating, “This content first appeared at headcoveringmovement.com” (with a hyperlink to the full publication at HCM’s website). 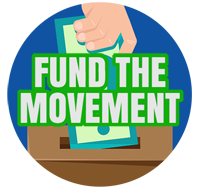 You also grant us an irrevocable right to continue to host and make available your content at headcoveringmovement.com in perpetuity. All other rights related to your content are expressly reserved and retained by you. You represent and warrant that the content is your original work, it is previously unpublished, you hold all copyright in it, and it does not violate any right or law. You agree that the timing, manner, categorization, tagging, titling, description, and general presentation of your content, including associated images and whether or not to publish it, are at our sole discretion. The length of your testimony should avoid two extremes: only a surface-level summary and a fully-detailed exhaustive history. If your testimony is very short, the Testimony Coordinator will probably ask you to share more. If your testimony is very long, it’s likely that the Editorial Team will shorten it. You may briefly mention how you got saved, but please ensure that your “head covering testimony” is otherwise directly related to your head covering experience. 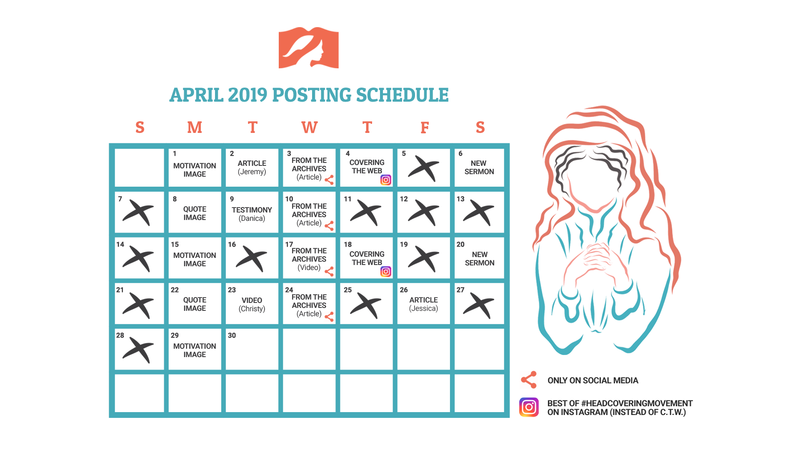 We recommend that you consider including (1) your practice + perspective prior to seeing 1 Corinthians 11:2-16 as applicable, (2) what prompted you to start head covering, and (3) what your head covering experience has been like. Remember that readers will be coming from a variety of backgrounds (both denominationally, and in relation to head covering), so make sure your testimony is understandable to the general public. The Testimony Coordinator will be available to provide additional guidance. To share your testimony with the Head Covering Movement please visit this page.